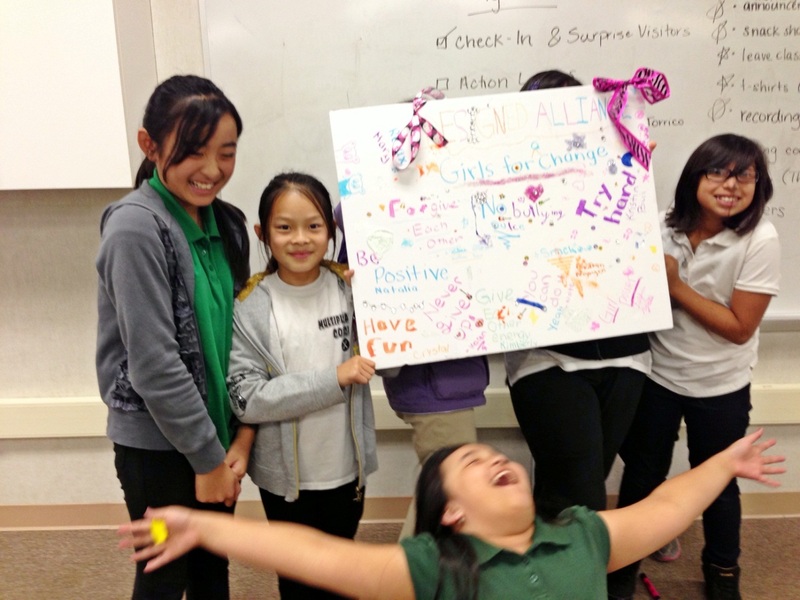 Recently, I spent two hour s after school with the Girls for Change team at Shirakawa Elementary School in San Jose. This team of six graders schooled me in Girl Power + activism. Their project is to have a healthy snack shack day at school and prove to their classmates that healthy food tastes great and will keep your mind and body alert. Today, they made a list of everything they should get permission for; can we post posters, make a morning announcement, wear team t-shirts instead of the school uniform that day etc., AND presented their requests to the principal who dropped in. As if that weren’t enough, they proceeded to create a Gantt chart of the tasks and due dates with post-its. Amazing. They reminded me that I must not underestimate what kids are capable of. It’s so much more than we give them credit for. This entry was posted in Uncategorized and tagged activism, girls, Where's James?, youth. Bookmark the permalink.